To capture the essence of Washington, DC, look beyond the obvious attractions and get to know the vibrant neighborhoods the city has to offer. Summertime in DC means unique art exhibitions, delicious food options, and outdoor celebrations. From year-round favorites to seasonal events, here are 20 ways to spend this summer like a District native. The Smithsonian Renwick Gallery’s current exhibition No Spectators: The Art of Burning Man features large-scale artworks from the desert gathering. Visit the Renwick to see the immersive room-sized installations, costumes, photographs, and archival materials that bring the creative spirit of this cultural movement to life. Before summer is over, head to the Bullpen for Truckeroo, a monthly festival showcasing the hottest food trucks in the DC area. Enjoy everything from empanadas to Korean BBQ tacos with live music and outdoor games. Remaining dates for this season of Truckeroo are August 10 and September 28. Looking for a break from politics? Visit the DC Improv to see national and local comics working on their material. The comedy club also hosts improv, stand-up, and comedy writing classes for all skill levels. This is where comics like Ellen DeGeneres and Dave Chappelle got their start! Check out the full lineup of free outdoor movie screenings across DC and the metro area. Screenings include a showing of Black Panther at the Capital Riverfront and Close Encounters of the Third Kind at Congressional Cemetery. Check local listings for an updated list. Every Sunday, DC locals can visit the FRESHFARM Dupont Circle Market. During the summer, there are more than 50 farmers offering conventional and certified organic products. Spend your Sunday morning wandering the aisles filled with fruits and vegetables, artisan cheeses, baked goods, jam, sandwiches, fresh-cut flowers, and much more. You have probably visited the National Mall during the day, but have you ever seen the sun come up over the Washington Monument? Wake up early and head down to the Lincoln Memorial or the Tidal Basin about 25 minutes before sunrise to watch the sky fill with color. The US National Arboretum is a great getaway within the city. Stroll around the colorful azalea gardens, or the holly and magnolia garden. The Bonsai & Penjing Museum has one of North America’s largest collections of bonsai trees, and the official trees of all 50 states are represented in the National Grove of State Trees. This gourmet food hall in Northeast DC has grown to include more than 40 vendors, from pop-up dumpling stands to a diner style bagel spot. Here you can experience some of the best and trendy flavors the city has to offer. Once known as “Black Broadway,” the U Street corridor was the center of DC’s African American community. The historic U Street walking tour covers the African American Civil War Memorial and explores the childhood neighborhood of musical legends like Duke Ellington and Marvin Gaye. Tucked in between the Columbia Heights and Adams Morgan neighborhoods, Meridian Hill Park (also known as Malcolm X Park) is the perfect spot for a picnic. Enjoy the basin cascade fountain or wander through statues and memorials. 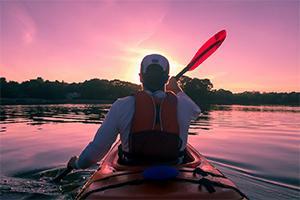 Ever wanted to paddle on the Potomac? Dozens of small rivers and teams flow through what is known as the Nation’s River. Paddling organizations lead day trips and overnight excursions to a variety of destinations in DC. Visit the National Park Service to find a boathouse. Unveiled in 2016, the National Museum of African American History and Culture is the only national museum devoted exclusively to the documentation of African American life, history, and culture. While the museum is free, visitors must obtain a timed entry pass through the museum website. In addition, the museum offers a limited number of walk-up passes starting at 1 p.m. on weekdays. The newly renovated Wharf offers free summer concerts that bring live music to Transit Pier every Wednesday. Rock, folk, reggae, and pop—enjoy live music, views, and food. Visit the website for the 2018 summer schedule. The National Press Club is a professional organization for journalists. It hosts talks and events on international relations and politics, while remaining dedicated to supporting the ongoing improvement and protection of the profession of journalism. The National Press Club offers significant discounts to students for most of its public events. During the summer on Friday evenings, the Sculpture Garden hosts Jazz in the Garden, a free concert series featuring jazz artists performing a variety of styles. From New Orleans jazz to blues and funk, enjoy local music and creative cuisine from the Pavilion Café. The city’s neighborhood walls are covered with hundreds of outdoor artworks and street murals. Each piece tells a unique story of DC’s diverse neighborhoods and ever-expanding culture. Find a local walking mural tour or visit the Mural DC Project website for a map of the organization’s art projects. Summer is a perfect time to get healthy. Why not work on your flexibility and your balance with yoga? Yoga District offers affordable classes for students across the DC area, with studios across the city. Discover the community hub of Eastern Market, located in the heart of historic Capital Hill. Find fresh food, community events, flea markets, and artists’ crafts six days a week. After exploring the market, visit Capital Hill Books, a stuffed-to-the-brim second-hand bookstore located across the street. Want to explore the Newseum? Take a 60-minute guided tour of the Newseum and see the very best of the current exhibitions and collections. Tours are offered throughout the day. As part of the Kennedy Center’s Performing Arts for Everyone initiative, the Kennedy Center offers Millennium Stage shows, free performances every day at 6 pm. Most Millennium Stage performances take place indoors in at the Kennedy Center’s Grand Foyer. Visitors can enjoy local, national and international artists.